Come fall in love with this 4 bedroom 2 bath home DR Horton Build. The magical moment occurs, when you open the front door of this enchanting modern family home. This well-manicured home boast; grey plank ceramic tile through-out, split bedroom floor plan, dual sink vanity in master bath with garden tub and separate shower, ample size closets, open concept with gorgeous views, screened lanai, for entertaining or just relaxing, fabulous mature landscaping with irrigation system. The open floor plan allows you to enjoy the back yard view, whether it's from the kitchen or the living room, it gives you a sense of tranquility. Homes has white vinyl privacy fencing, coach lighting, 9' ceilings, 42" Maple Glaze kitchen cabinets with crown molding, delta faucets, Black GE appliances, and heat pump HVAC system. Pride of ownership shows. Amenities include tot lot and basketball court. If you are an avid boater there are storage locations near-by and many fresh and salt water venues to consider for your days enjoyment. Close to commercial venues, historic Main Street, and major highway for easy commute. Within 15 minutes to Wekiva Springs. Home still has 2 years on the builder's warranty. Call or Text to schedule your private showing. Lot Size: 0.18 Acres / 8032 Sq. Ft. Directions:From 408 West take I-4 E take exit 90B West for Maitland Blvd/ 414 W, go onto Fl 414 W/Maitland Blvd, take to exit 4A towards Fl-451 North Apopka continue onto Vicks Road, turn right on Mary Paula Drive Turn right on Nadeau Way. Home is on the left. SchoolsClick map icons below to view information for schools near 493 Nadeau Way Apopka, FL 32712. MFRMLS data last updated at April 20, 2019 10:04:58 AM PST. Home for sale at 493 Nadeau Way Apopka, FL 32712. 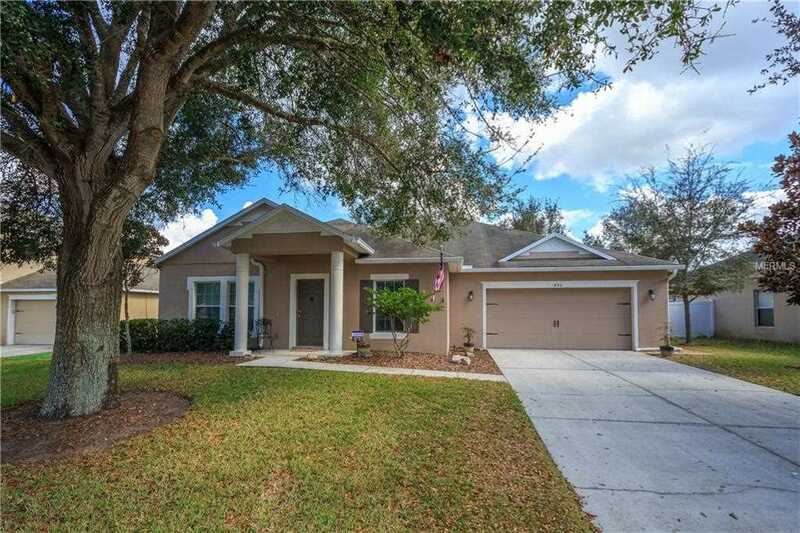 Description: The home at 493 Nadeau Way Apopka, FL 32712 with the MLS Number O5762677 is currently listed at $272,000 and has been on the Apopka market for 69 days. You are viewing the MLS property details of the home for sale at 493 Nadeau Way Apopka, FL 32712, which is located in the Clayton Estates subdivision, includes 4 bedrooms and 2 bathrooms, and has approximately 1910 sq.ft. of living area.